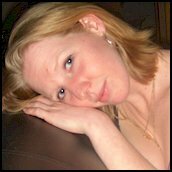 I am a very pleasant large breasted 33 year old blonde woman who is totally non demanding and a wonderful lover. I know how to make and man feel at ease and how to pamper him. I am looking for some men to date who need me to be discreet. You can take me out but if that is impossible I can meet you somewhere you find convenient. I would like to see you on video before I meet you. Oh Boy, Am I Gonna Get It!